← So, how much does a dink full of water weigh? 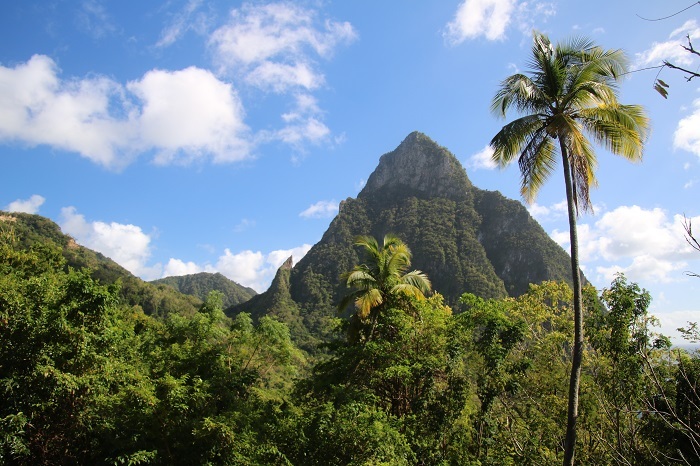 The Windwards and Leewards, what is it really like? Armchair sailors unite! It’s going to be a long winter with some saying that it’s going to be really, really cold here in the North East. I for one, am not happy to be here in the North East when I should be sailing in warmer climes and after spending the last six winters in southern waters, it’s going to be a big deal for me. As I have said in past posts, “live it once and tell the story for ever”. And, to that point, I particularly enjoy giving talks about where we have been aboard Pandora and recently did two webinars for the Seven Seas Cruising Association, SSCA, one about our time cruising from the BVIs south to Dominica over the winter of 2017 and the other about cruising the waters of the southern Caribbean from Antigua to the Grenadines aboard Pandora in 2018. Both presentations are free and you don’t have to be a member of the SSCA to view them. Since I retired in 2012 Brenda and I have spent our winters cruising and have covered a lot of ground including the US Intra Coastal Waterway (ICW), the Bahamas, Cuba and most recently the eastern Caribbean. Over the years I have given many talks, mostly live and I am often asked if they are available on the Web. Until now, the message was sadly no, but these two presentations have been recorded so you can see them if you are so inclined. And, better yet, aside from the time it takes to view them, they are free. These are not just travelogues, those tortuous, “I went 6kts from this island to that and look at what I ate for dinner.” On the contrary, I work hard to give you a good feel for what sorts of weather you should expect and how it feels to interact with the local residents. Of course, I also try to share the wonder of what it’s like to visit these remarkable islands and to spend months at a time afloat. 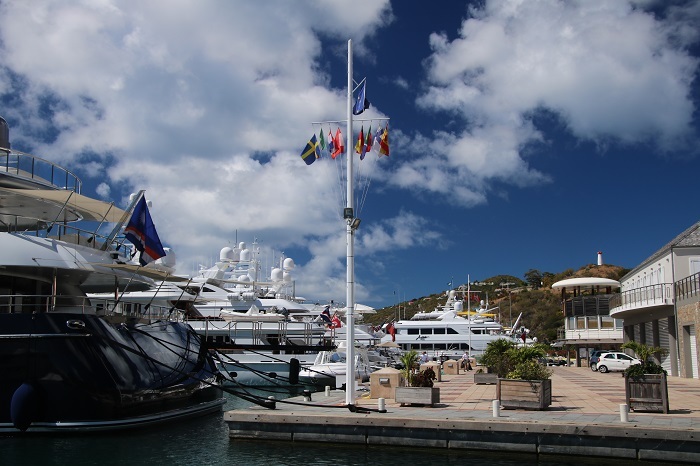 Many of you have probably chartered in the BVIs and these talks will give a good feel for how different the islands to the south are from the bustling charter bases that you may be more familiar with. 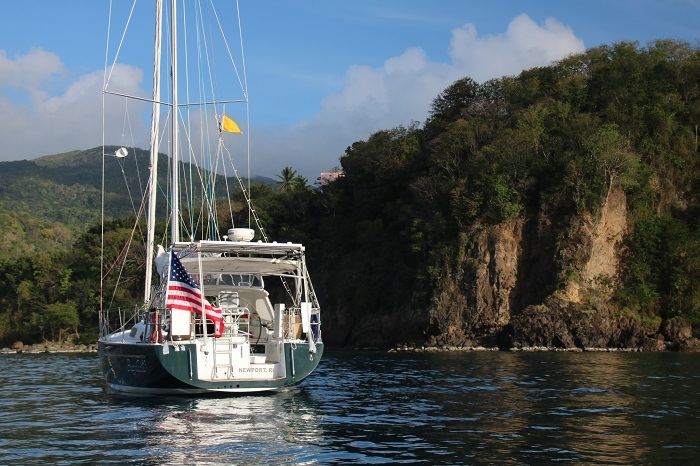 Cruising the Leeward Islands, the BVIs south to Dominica. There is no charge to view this recording although I am told that there will be a modest fee to SSCA after 120 days, so view it now. 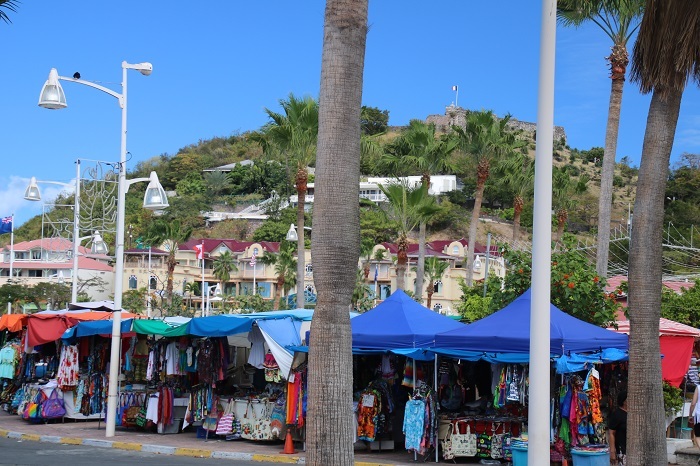 The Windward Islands: Antigua and South, “where the REAL Caribbean begins”. From Antigua to the Grenadines. Yes, this one is free too. I enjoyed preparing for and giving these talks and would appreciate your feedback on what I might do to make them more interesting or perhaps other topics that you’d like to hear. Oh yeah, one more thing. If reading is more your style, check out these articles that I wrote for Blue Water Sailing Magazine. 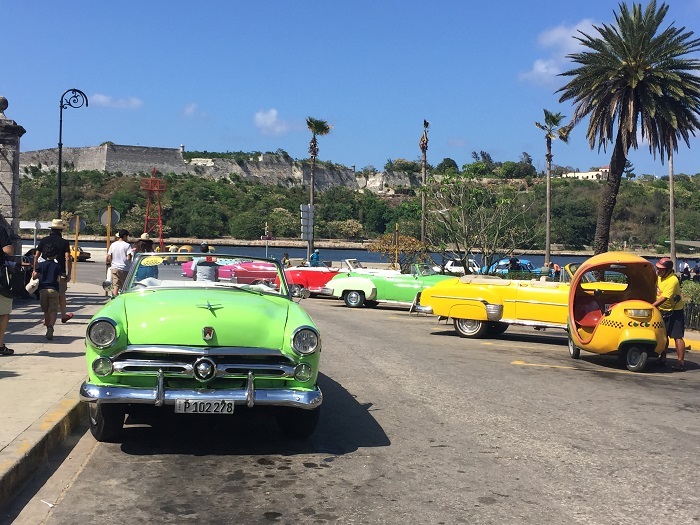 Cruising Cuba, a First Timer’s Perspective from October 2016. Brenda and I spent two months cruising Cuba and toured the south coast, around the NW point and to Havana before returning to the US. Cruising the Windward Islands. This article appeared in Blue Water Sailing magazine in August of 2018. It’s a shorter version of the story I told at the SSCA webinar mentioned above. And finally, the cruise that introduced us to the eastern Caribbean in 2017. Into the Leeward Isles, cruising from the BVIs south, the northern half of the eastern island chain. This article was published in Blue Water Sailing Magazine in February of 2018. Yes, it’s going to be a long winter but at least I have lots of friends that can keep me posted on what they are doing, cruising in the beautiful waters of the Caribbean. Yep, I too can be an “armchair sailor”. Not perfect but it’ll do for one winter at least. 🙂 Not to mention the webinars have stunning photographs! Tom: I checked both and they worked just fine. The Leewards one, which I think you are referring to, shows up as “no content” but if you click the play button, it comes right up.